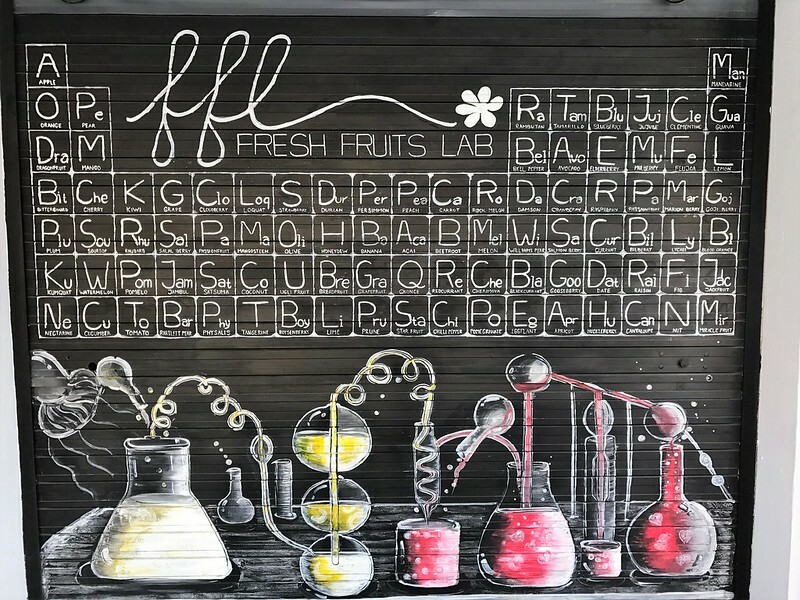 Tucked away in the south-eastern suburbs of Singapore, lies the quirky but elegant cafe FFL – Fresh Fruits Lab. 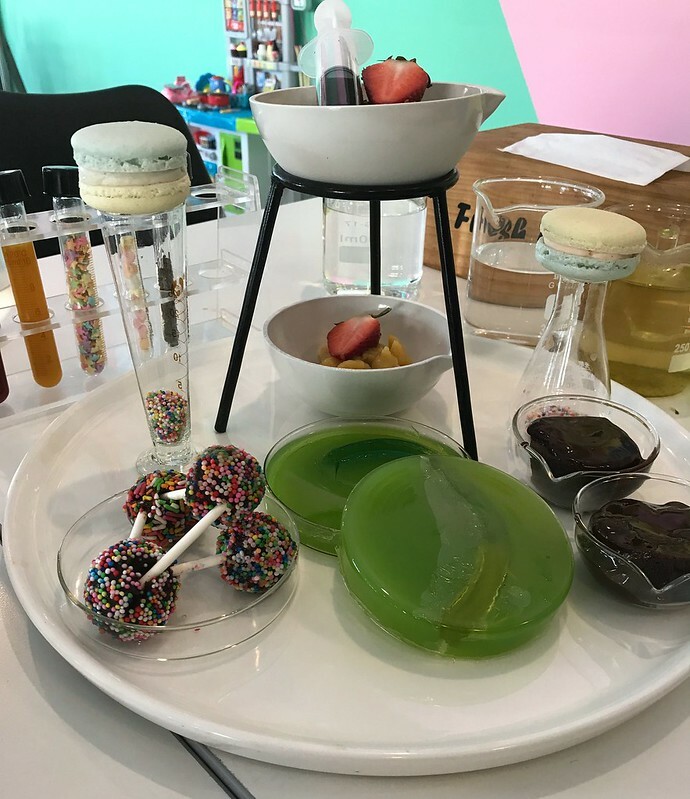 Fresh Fruits Lab provide a playful science laboratory themed afternoon tea, where imagination and taste sensation are combined in artful designs and entertaining dishes. The fundamental fruit ingredient is present in each course, offering a dining experience like no other. 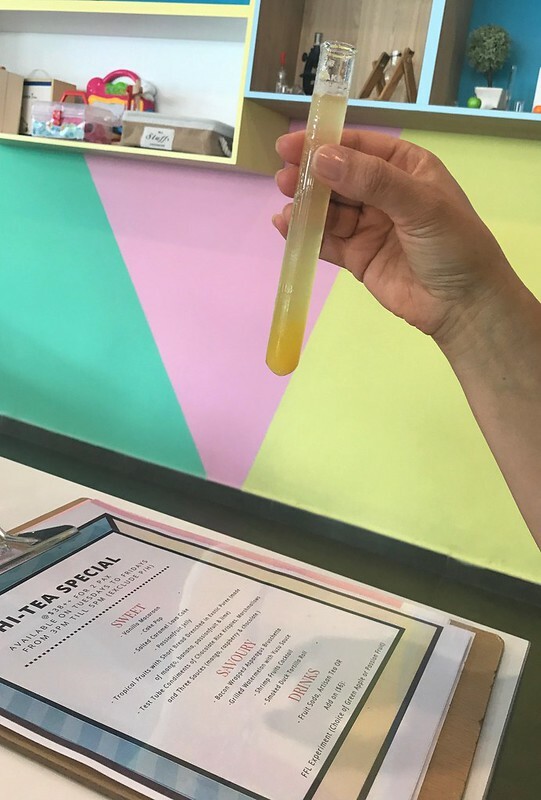 Complimentary fruit juice is served in test tubes. 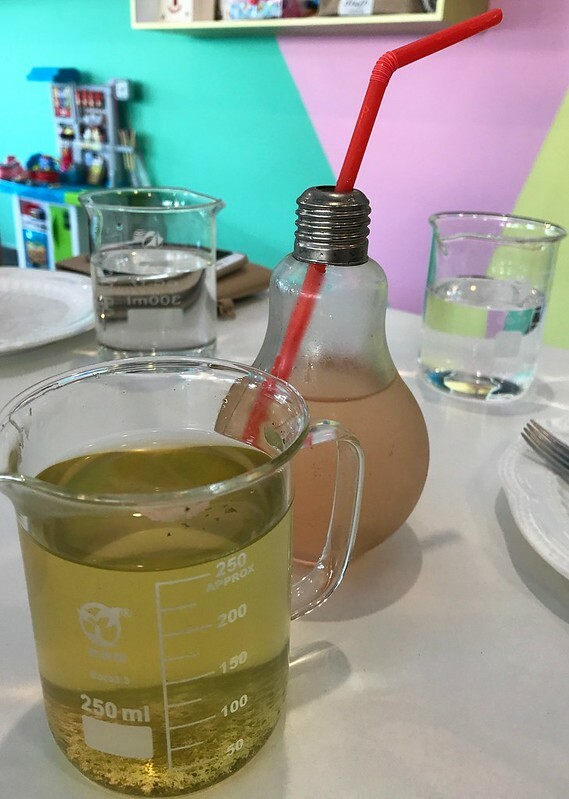 Herbal tea is provided in beakers and an interesting light globe glass holds a refreshing fruit soda drink. 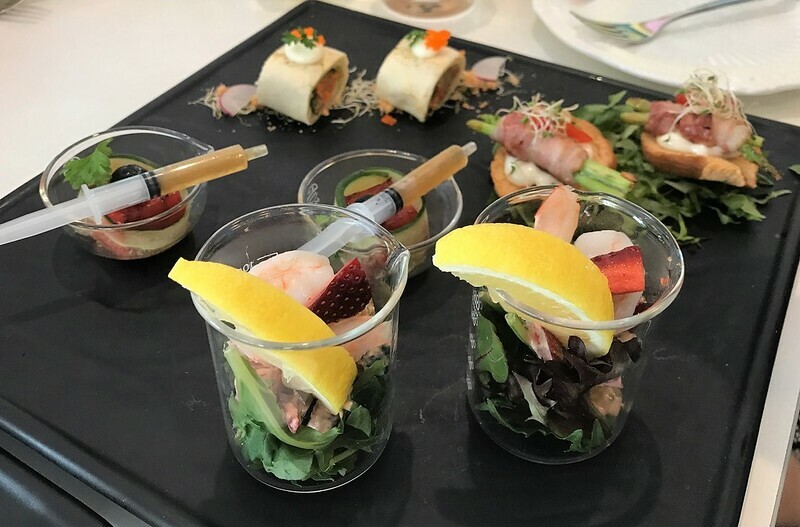 Afternoon tea consists of two courses, a savoury and a sweet! The Savoury course is served first on an elegant black stone plate, displaying amazing plating design. Each small portion incorporates the fruit theme and tastes delicious. The combination of these flavours are well executed. 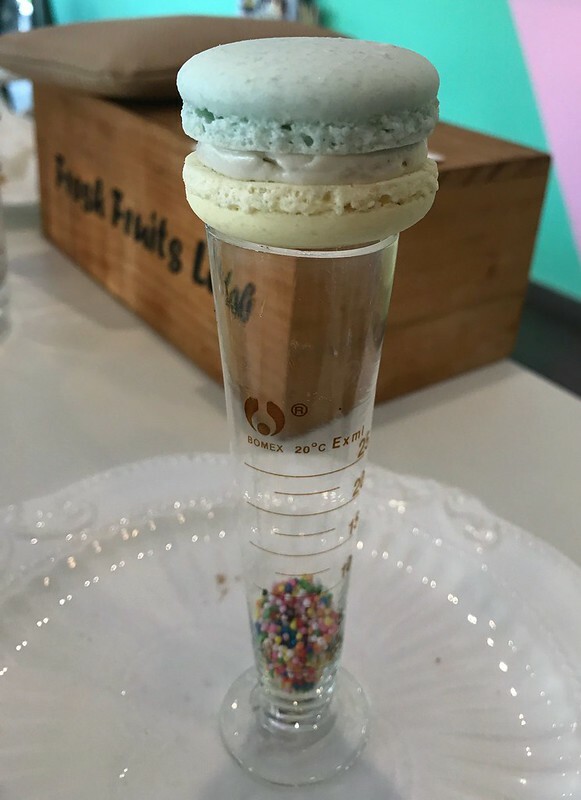 If you are a sweet tooth, then the sweet course will be an absolute delight. Amongst the tripod is an artistic showcase of decadence to satisfy any desertoholic! Afternoon Tea $38 SGD for 2 people. Tuesday- Friday 3pm – 5pm. 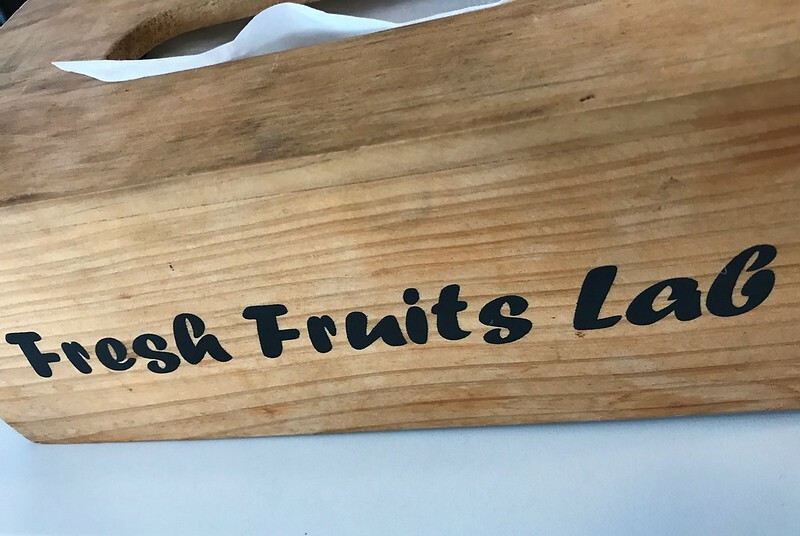 Click here to go to Fresh Fruits Lab website. Looks amazing – and I must compliment you on your photographs. 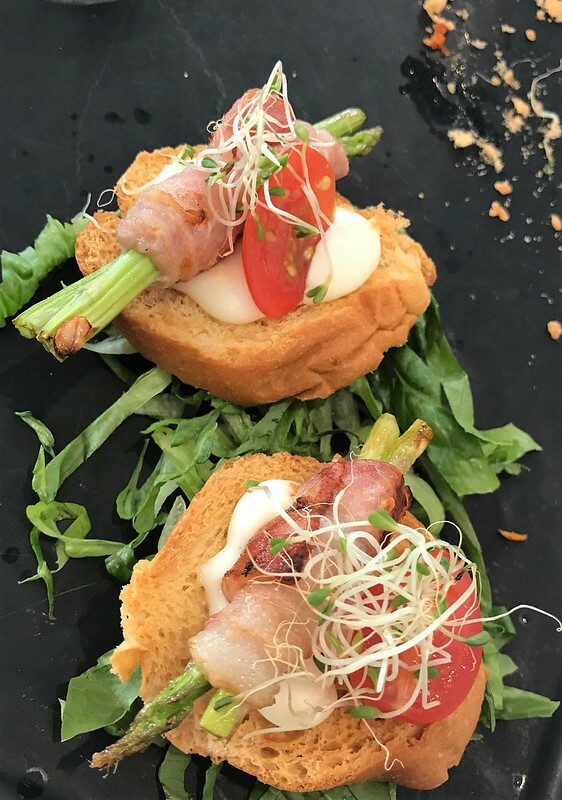 Not everyone would realise how difficult it is to take good food photographs. I’ve tried, but haven’t nailed it yet. Well done. Really – you used an I-Phone. That’s even more amazing! Wow! I didn’t even know such a café exists. 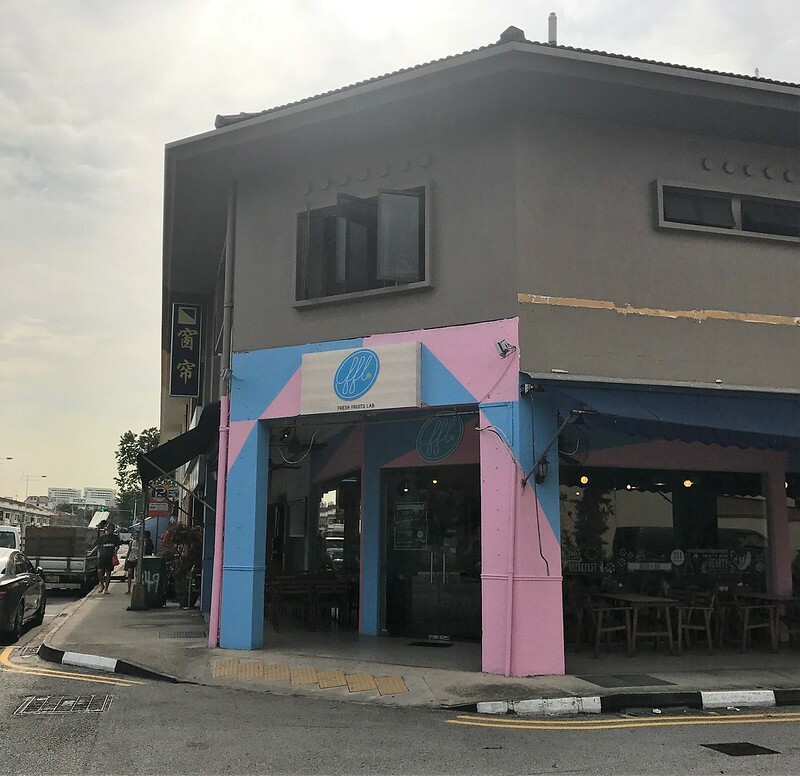 What a creative idea for a cafe (and a post!) Must say it all looks and sounds incredibly appealing. Great photos Lorelle. I wish I could visit that funky place! I love those kind of places. Amazing post ❤ and pictures, Lorelle! This looks great. Afternoon tea is one of my favourite things to do. Never had one quite like this though! 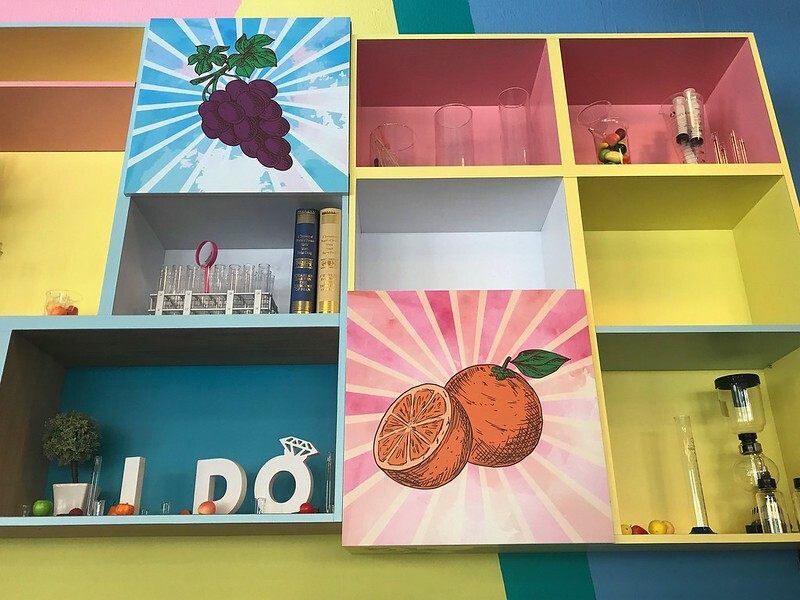 The fruity lab sounds delightful. 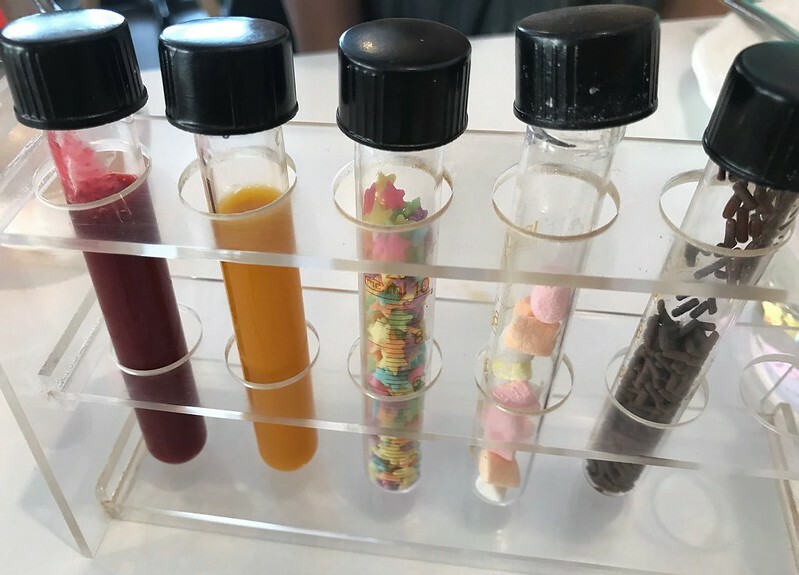 The idea of having a place where you can play around with fruits and flavours, textures and test tubes, is so cool — without having to smell the rotten stink of sulphuric acid (here my disastrous days in the chemistry lab in high school come flitting back). Now after having written this, I wonder if it sounds too stream of consciousness! Haha not at all. I had high school flash backs of white lab coats and Bunsen burners!!! 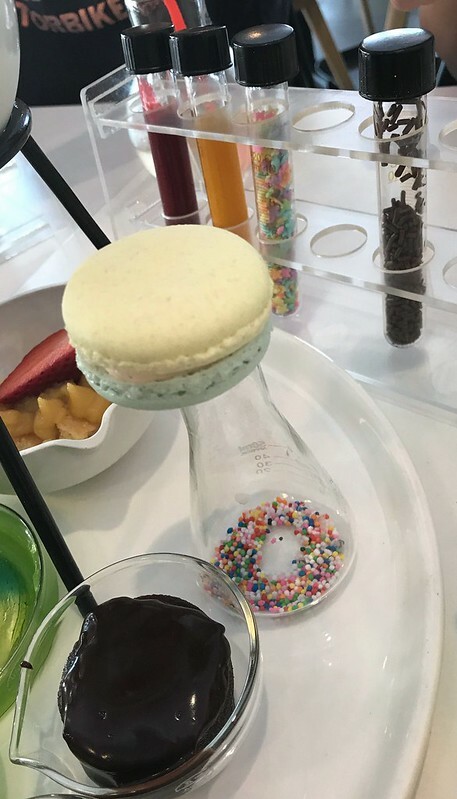 What a fun thing to do – love all the science stuff!! 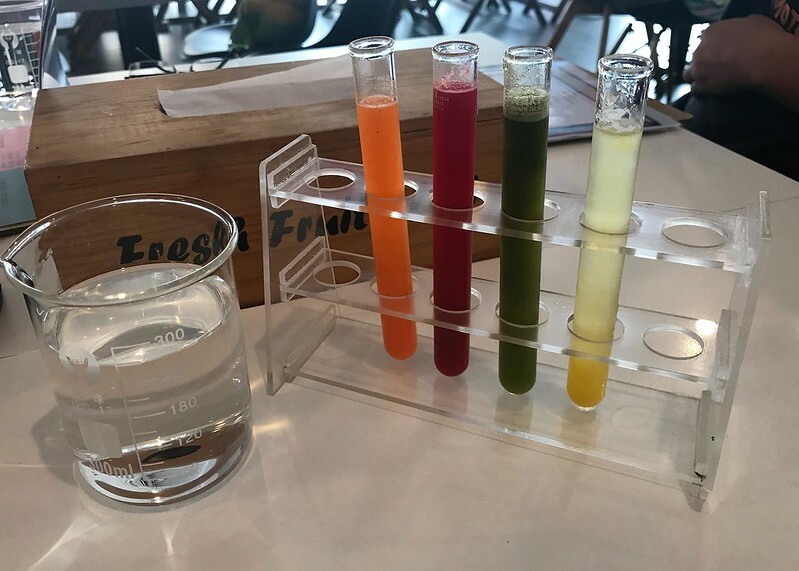 very scientific tea 🙂 what a fun! This looks lovely & so quirky! What a find! I love the look of this place Lorelle and your photos capture it all so well. A must do next time I’m in Singapore. Wow! That place looks great! Wish there was one here in the States! 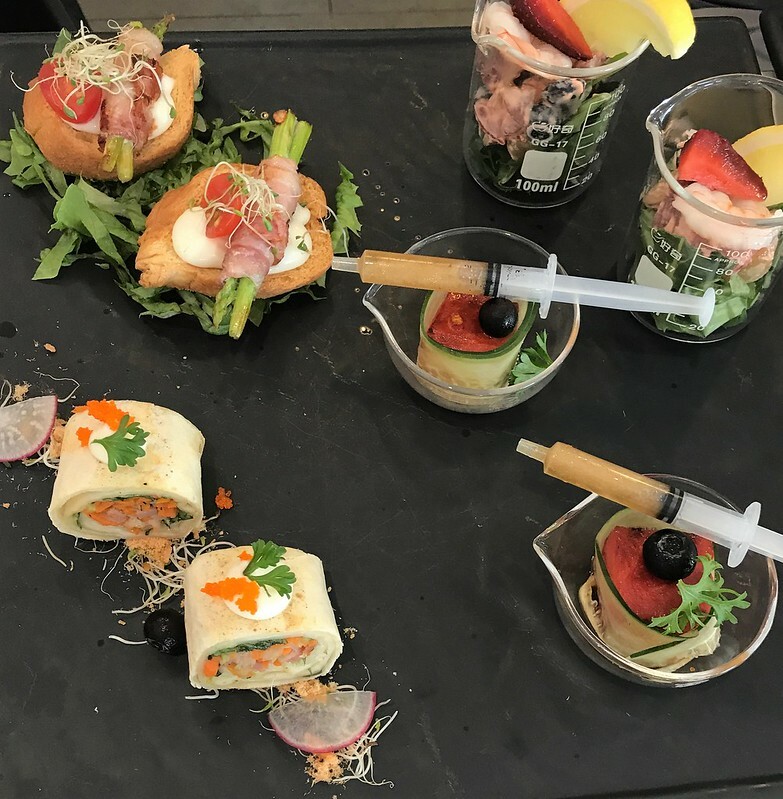 I’m more of a traditionalist when it comes to afternoon tea – but this could make me change my mind! Wow this place looks amazing! If only I wasn’t sooooo far away. Wow this looks so interesting, I have never seen anything like that and the food looks fresh, healthy and delicious. 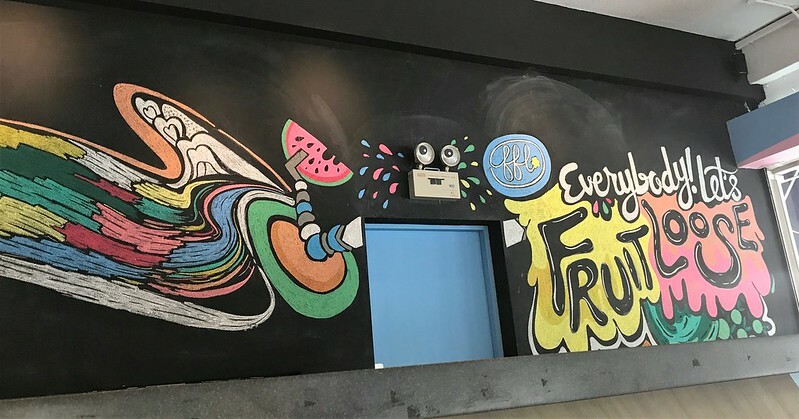 What a fun idea for a restaurant! 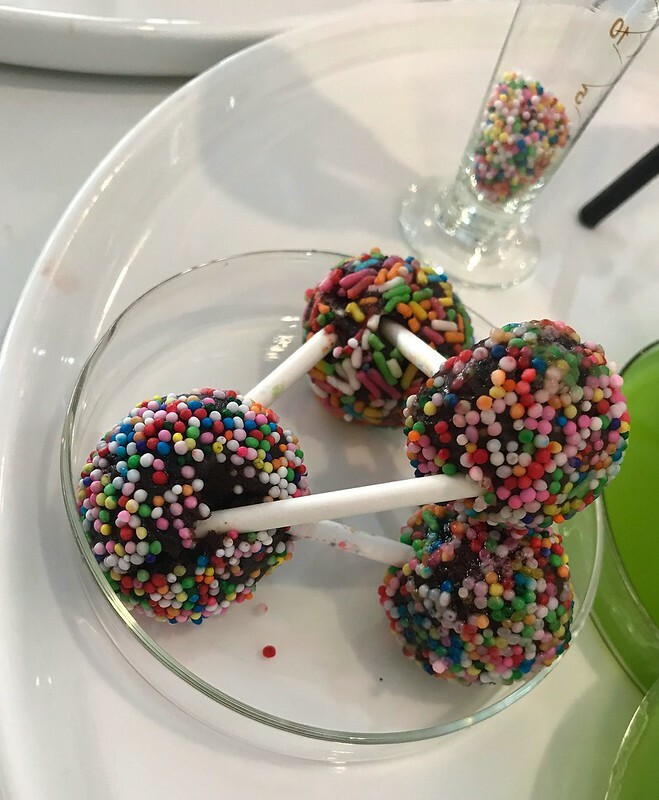 And the colors of the food are so appetizing. I will have to remember this if I ever visit Singapore! I’m absolutely awful at science but I would take another stab at it for this tea!! 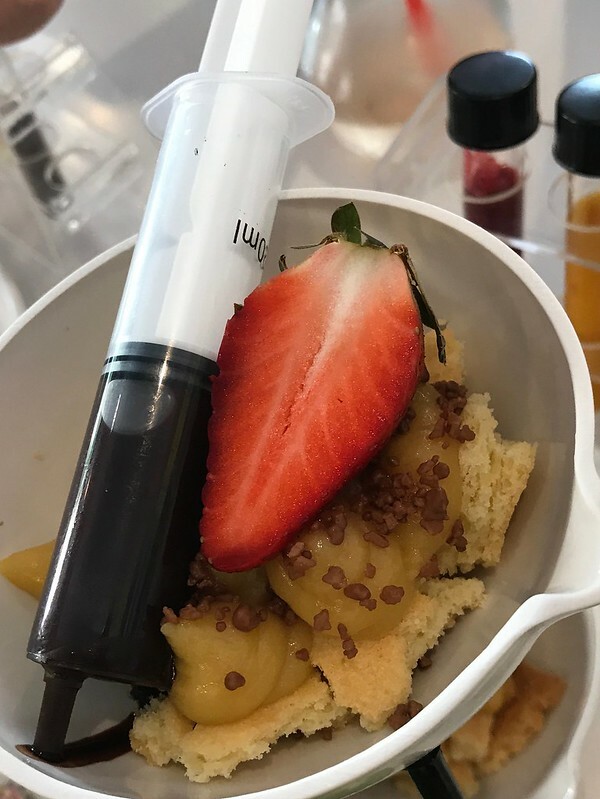 I love how creative they are with everything- I think my favourite part is the syringe of chocolate for the strawberry!!! While I do love my traditional teas, I enjoy when restaurants go out of their way to provide you with a unique experience and entertain you. And that’s a fantastic price! It looks so amazing!! I have to go there someday! Love the periodic table of fruits. What an exciting place! 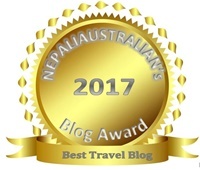 Must definitely check it out! Older Daughter would love it: so unique and beautifully presented!